Today in Masonic History William Dillon Otter passes away in 1929. William Dillon Otter was professional Canadian soldier. Otter was born on December 3rd, 1843 near the Corners, Canada West which is now known as Clinton, Ontario Canada. Otter began his military as part of the Non-Permanent Active Militia in 1864 in Toronto. Later becoming adjutant of the the Queen's Own Rifles of Canada in 1866. 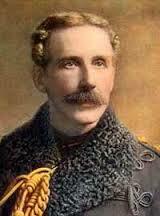 In the unit he would see combat in the Battle of Ridgeway and during the Fenian Raids. Otter joined the Permanent Force as a member of the infantry in 1883 when Canada established it's own professional infantry. In 1890 Otter founded the Royal Canadian Military Institute. The Institution's stated goal was "the promotion and fostering of military art, science and literature in Canada". In 1893 Otter was appointed the first commanding officer of the Royal Canadian Regiment of Infantry. He led the Regiment during the Second Boer War in South Africa. The regiment was considered to be one of the finest battalions in the country by many British officers. This was largely due to Otter's martinet style of leadership, not wanting the Canadian regiment to compare badly with their British counterparts. In 1908 Otter was named lead of the Canadian Armed Forces, the first Canadian-born officer to hold that position. Otter passed away on May 5th, 1929. Otter was a member of Ionic Lodge No. 25 in Toronto, Ontario.